Looking for an easy dessert? Go for this buttermilk panna cotta, it's creamy and ready in 10 minutes, plus of course the time it needs in the fridge. HEAT the cream along with the sugar and vanilla extract. Use the silicone kitchen brush to COAT the ramekins with sunflower oil. 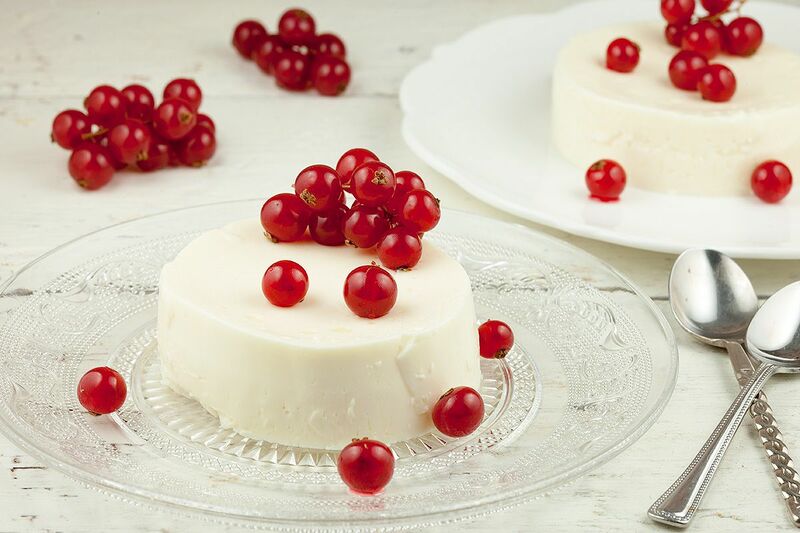 This will make it easier for you to get the panna cotta onto the plate later on. SOAK the gelatin leaves in cold water. 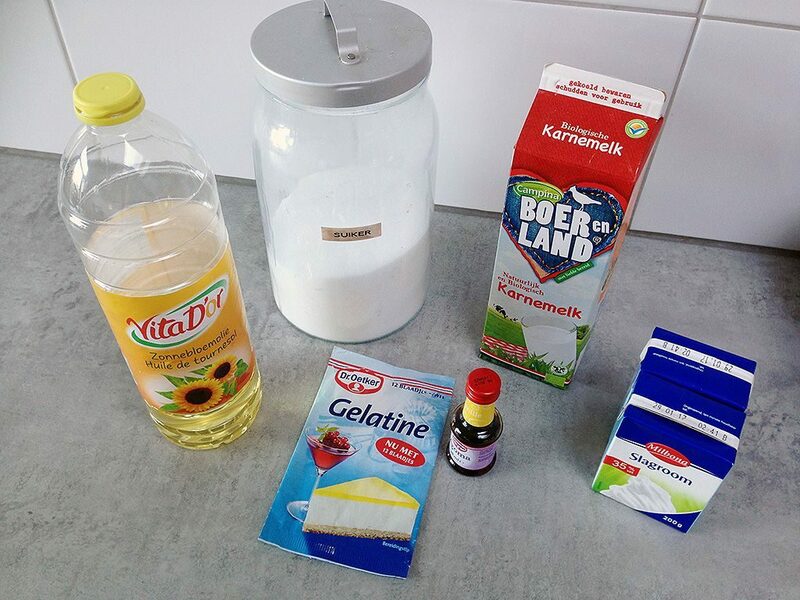 Turn off the heat and squeeze the gelatin to get rid of any excess water, DISSOLVE the gelatin into the warm cream. Now also ADD the buttermilk and combine well. DIVIDE the mixture over the ramekins and carefully place them in the refrigerator. Now wait at least 2 hours until the panna cotta is done. To release the panna cotta from the ramekins; FILL a bowl with warm water and use a small knife to run around the edges of the ramekins. Immerse the ramekins in the warm water and hold the panna cotta upside down above a plate. If it still won’t come out, immerse in the warm water a bit longer. 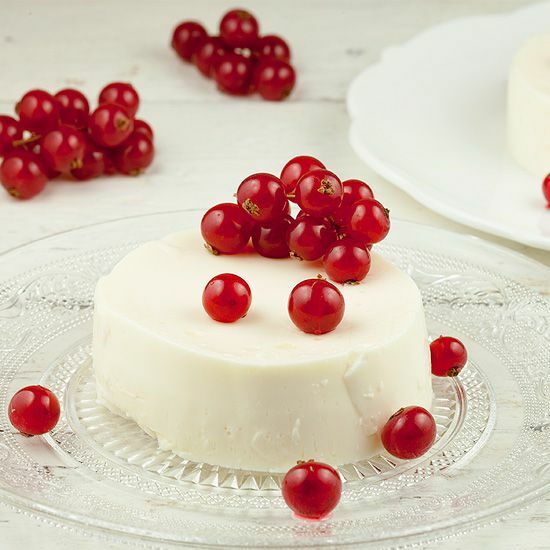 You can also serve the panna cotta inside the ramekins, like we did for this kind of panna cotta. 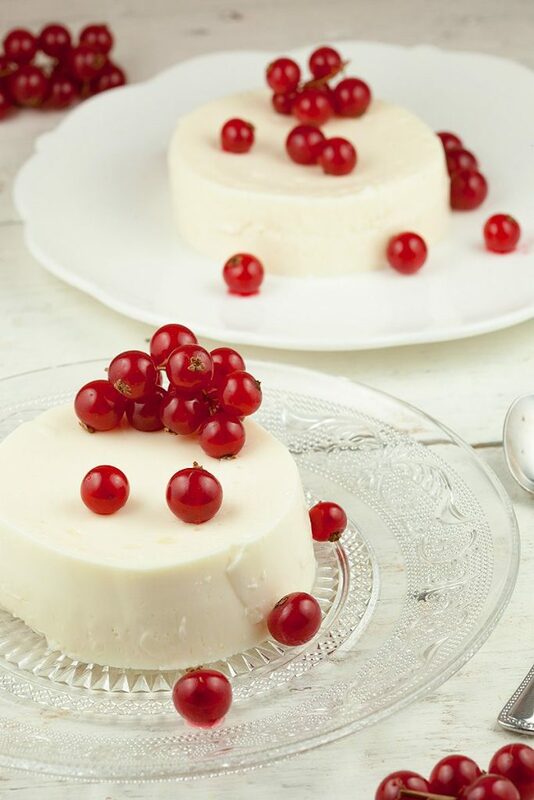 Serve with red currants or any other fruit you like and enjoy!